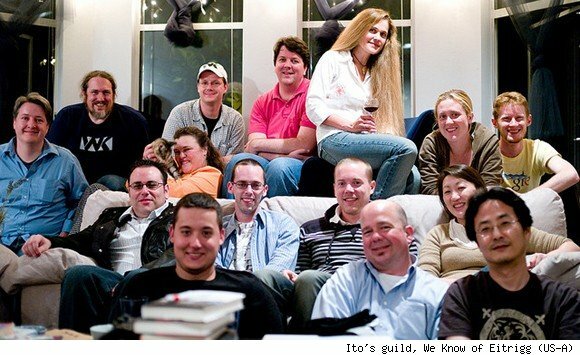 From Hollywood celebrities to the guy next door, millions of people have made World of Warcraft a part of their lives. How do you play WoW? We're giving each approach its own 15 Minutes of Fame. Let's get Joichi Ito's professional credentials out of the way first. The 44-year-old Japanese venture capitalist is the incoming director of the avant-garde MIT Media Laboratory. A self-professed "informal learner" (he dropped out of college twice and never finished a degree) now shines as one of the stars of the digital age, serving on the board of directors for Creative Commons, Technorati, ICANN, and Mozilla, and catching the wave as an early-bird investor in Last.fm, Flickr, and Twitter. ... and a guild leader in World of Warcraft. "My feeling is that what we are doing in WoW represents in many ways the future of real time collaborative teams and leadership in an increasingly ad hoc, always-on, diversity intense and real-time environment," he wrote in his blog back in 2006. In fact, one of his presentations on WoW made it into an early incarnation of our Moviewatch feature in 2007. 15 Minutes of Fame: MIT Media Lab director Joichi Ito on WoW originally appeared on WoW Insider on Thu, 02 Jun 2011 15:00:00 EST. Please see our terms for use of feeds.